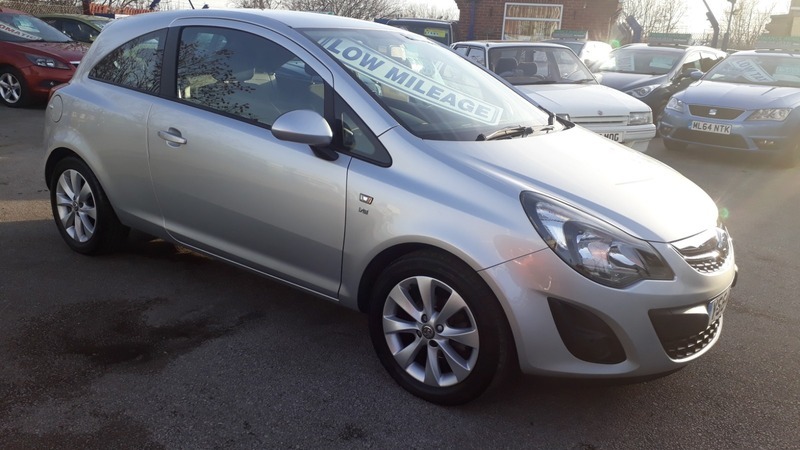 2014 Vauxhall Corsa 1.2i 16v VVT Excite. Only 21,000 miles with service history noted at 5k, 11k and 21k. Vehicle registered 31/12/2014 - 2 lady owners since January 2015. This car includes remote central locking, 2 keys, power steering, steering wheel controls, electric windows, electric mirrors, trip computer, isofix, CD player, Bluetooth, USB aux, alloys, parking sensors, front fog lights.